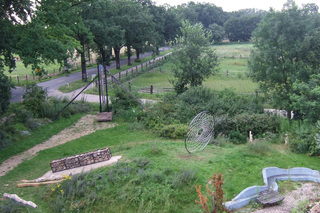 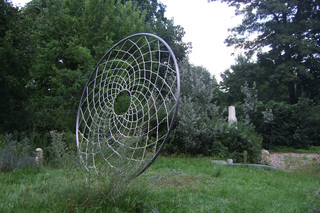 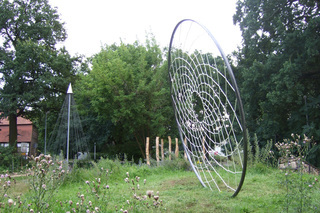 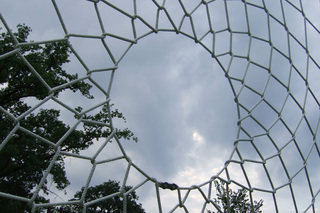 A permanent public art sculpture was commissioned by the County for installation in the sculpture parc of Kulturgiesserei Schöneiche, near Berlin. 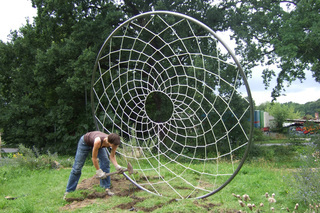 I developed a 3m diameter Dreamcatcher sculpture made from bent and welded steel tubing and industial rope. 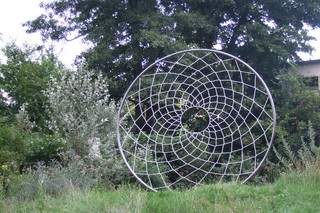 The sculpture would greet the daily commuters in their automobiles from a distance when they reached the town from the state road, inspiring contemplation about their personal hopes and dreams and daily toils to catch them, driving back and forth to work in the big city to be able to afford the life in the countryside.